Coming ten years after the publication of our 2005 Creative New York study, this report takes a fresh look at the role of the arts and the broader creative sector in New York's economy, provides a detailed analysis of what has changed in the city's creative landscape over the past decade and documents the most pressing challenges facing the city's artists, nonprofit arts organizations and for-profit creative firms. 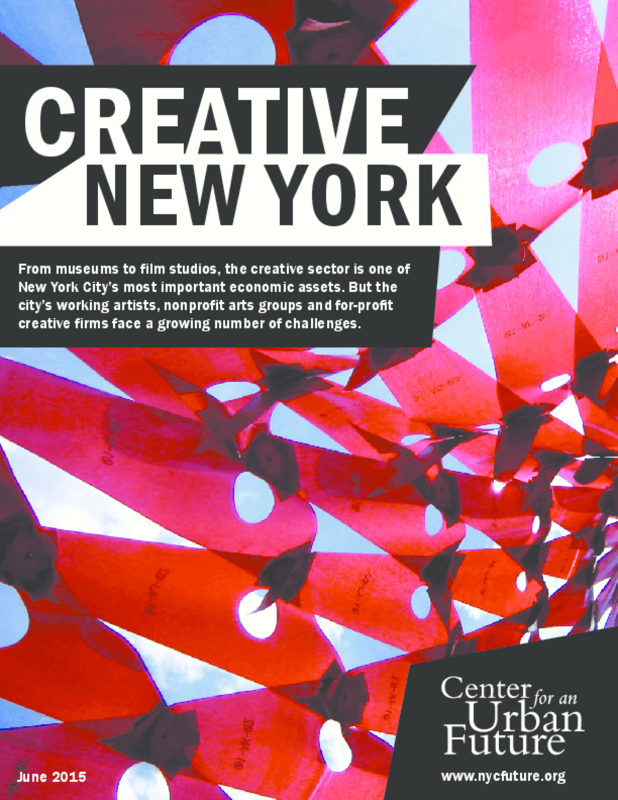 The study was informed by interviews with more than 150 artists, writers, designers, filmmakers, architects and other creative professionals, as well as advocates, nonprofit administrators, donors and government officials. These firsthand accounts were supplemented with an analysis of Census, labor, tax and grant data in addition to a variety of surveys and research reports. Copyright 2015 Center for an Urban Future.